Ever since the current recession has taken hold, the gigs that we’ve once taken for granted are no longer there. Many of us are going out on the road for the same amount of time and for less money. In my situation, this is mainly due to less routing engagements – Not a good thing. The routing engagements are where most touring bands pay for their traveling expenses. So how do we recoup our lost income and actually come home with more money? Any successful entrepreneur will tell you that businesses need to understand and meet the needs of their customer in order to survive. As your customer changes, your business needs to be there with the services your customers need, when they need them. There are more and more baby boomers out there everyday, reacquainting themselves with the instrument that they once played back in the day, looking for a pro like yourself to reignite their passion for music. 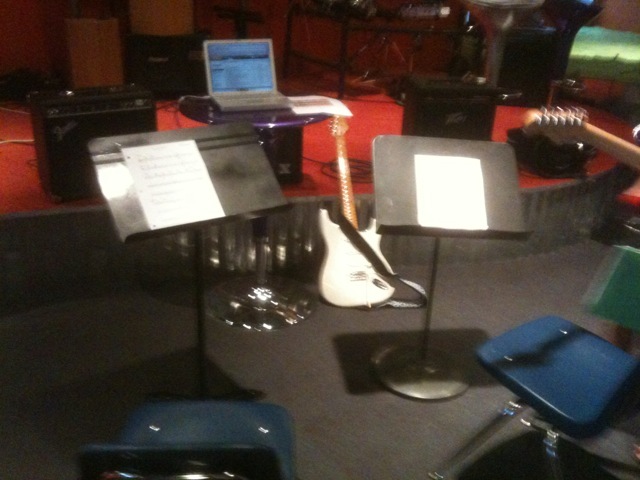 Our primary service, as guitarists, when on the road is providing a live musical performance. As we all know, many of our customers are also aspiring musicians themselves checking us out in hopes of learning something and getting inspired. For years, I would have people come up to our band members at a performance and ask “Hey, can I get a lesson the next time you are passing through town?” There are a lot of semi-pro and amateur guitarists out there that would love to pick your brain when you are passing through their city or town either through a guitar class or a private guitar lesson provided by you. With a little bit of preparation and networking, you can incorporate a profitable, traveling guitar education program into your touring schedule, right in the city or town (or en route to the city or town) where the gig is happening. Contact the venues on the upcoming tour, along with any music societies, libraries, churches, music stores or music schools along the tour path and pitch your “lessons on wheels” program to them. You can also collect contact information from the people who have expressed an interest in a learning opportunity with you and then pass that information on to the hosting venue close to where they live. All you need is a quiet, small to medium-sized room with chairs and music stands. Ask the participating venues to collect the tuition and provide you with your payment on the day of the class. Most venues or organizations can provide these simple requests and materials without a problem. Your program will add value and prestige to the host venue and the community. I usually give 20% of my gross earnings to the hosting venue so they make something, the community gets the benefit of your program and you have just increased your tour take-home pay for that tour. You are currently browsing the The Working Guitarist Blog blog archives for October, 2010.